Is Giving Tuesday impactful? Here are 9 ways to give, all year round. A relatively new ‘holiday,’ #GivingTuesday was founded in order to redirect our shopping craze around the winter holidays. Aka, remind us to give to those less fortunate while we simultaneously spend more on gifts for friends and family, and ourselves (though it’s questionable how much we really need…). Why have online donations increased? Consider the behavioral economics perspective – according to several studies related to charitable giving, we want to do what other people do (no surprise there). But it goes deeper: According to research at the Center for Advanced Hindsight at Duke University, people want to do what other people think is the good thing to do – the ‘injunctive norm,’ in behavioral economics speak. Take this study, where researchers sent out two emails from an organ donation NGO encouraging people to donate their organs- not a very easy task. At the time of their experiment, 45% of Americans were organ donors, so getting that number up would be a challenge. But they had this stat in hand: 95% of Americans supported organ donation. One email was a standard template asking people to register with the organ donation NGO. The other had an extra sentence in the header: 95% of Americans support organ donation. The results, although small in number, were substantial: Only 1.3% registered as an organ donor with the standard email, while almost 4X did (4.9%) with the email with the injunctive norm. The social norms message led to a substantial increase, almost quadrupling registrations. 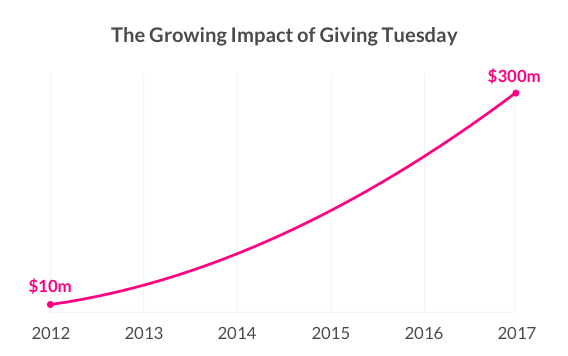 So while Giving Tuesday has made strides using, among other tools, the injunctive norm to their advantage, there’s the rest of the year to worry about as well. 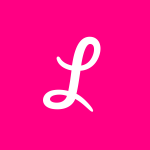 Here are 9 ways to boost up your charitable giving year-round, together with some of the Lemonade Giveback partners. Giving blood is one of the most high impact and (arguably) low effort things you can do on Giving Tuesday. “Every two seconds, someone in the U.S. needs blood. Volunteer donors are the only source of blood and platelets for those in need of transfusions. One donation can potentially save up to three lives,” says John Rothmeier, a Red Cross rep (a Lemonade Giveback partner). It’s pretty incredible to think that it takes less than an hour to save three lives. And luckily, the Red Cross has a super easy system for giving blood in your area. To make an appointment, head over to Red Cross’s website, type in your zip code, and choose from all nearby blood donation centers. For bonus points, ask a friend to come with you. It’ll kill 2 birds with one stone – you’ll get some moral support, and double your impact from saving three lives to saving six. At The Ali Forney Center, the largest community center for LGBTQ homeless youth, many members aren’t in contact with their families. Because of that, they often don’t have the means to celebrate their birthdays. That’s why they created Project Birthday. “Project birthday offers young people who have been rejected by their families and made destitute and homeless an opportunity to celebrate their lives, a sentiment many of them have been denied. Through this fund, we are able to offer young people an opportunity to celebrate their special day,” says Alex Rogue, Director of Development. If you’d like to give an LGBTQ+ youth the gift of a birthday, you can either donate a birthday, or create a personal Project Birthday campaign and invite your family and friends to contribute. Though we may not realize, the small things we do every day can have a big impact on the environment. Here’s the plus side: It takes just a little tweaking to drastically cut back our carbon footprint. Take public transit – Motor vehicles emit more than just carbon dioxide – motor oil, brake pad dust, and other contaminants flow from highways into waterways, and commuting by bus, bike, or train lessens these impacts. Cut down on trash – Shop with reusable bags, and bring reusable coffee mugs and takeout containers when grabbing lunch. While these might seem like big changes, it just takes creating a new habit to improve your impact on the environment. Consider Giving Tuesday your inspo for getting these habits started. Many animals are purchased from breeders and puppy mills each year; millions of others die in shelters. Our friends at the SPCAI make it easy to adopt an animal internationally (they focus on mostly special needs animals that don’t have access to quality veterinary care, and have little to no chance of adoption in their home country). Dine for CURE – approach your favorite restaurant and ask them to host a day in which 20% of all dining sales benefit CURE. Shop for CURE – Approach your favorite store and ask them to host a shopping day in which a percentage of all sales benefit CURE. There are multiple ways to give all year round- many nonprofits recognize you’re busy and can’t be bothered on a weekly basis. So they’ve come up with all kinds of giving programs that have minimum interference with your day to day, but help you truly move the needle. Case in point: Our Giveback partner Pencils of Promise. Their PASSPORT program is a monthly giving program with 100% of every dollar going directly toward educating a child. With as little as $6.25 per month, you can help educate a PoP student for an entire year. PASSPORT takes you on an incredible journey by giving you, the donor, an exclusive look at PoP’s impact in Ghana, Guatemala and Laos. You’ll also be joining a global community of supporters who understand the importance of making a sustaining commitment to provide education to all. Ok, this is for those of us who are slammed with work and just can’t.break.away from your laptop. If that’s you (btw, if you’re dealing with a phone addiction, you may want to read this), we have impactful ways to make a difference: share, share, share nonprofits’ calls to action on your social networks. Our Giveback partner, To Write Love On Her Arms (TWLOHA), a non-profit movement dedicated to finding help for people struggling with depression, addiction, self-injury, and suicide, says one simple way to participate is to share their Find Help page. This page lets anyone in the US type in their zip code and the kind of treatment they’re seeking, and it will pull up places in their community that offer treatment, including centers that operate on a slide scale or at reduced rates. Your share across social networks may just be exactly what someone needs most right now. Think beyond the holidays, beyond Giving Tuesday! Robin Hood, our Giveback partner who fights poverty in NYC, says that while donations and volunteers will always be appreciated during the winter holiday season, the needs are just as urgent throughout the year. Celebrate Christmas in March and Thanksgiving in July by volunteering year-round. So if things are too hectic right now, schedule time in Q2 next year for soup kitchens, food pantries, mentoring and tutoring organizations – all of which rely on volunteers to get the work done. This one’s a difficult one. Its impact isn’t immediate: you won’t witness sudden societal change just because you changed your vocabulary. But it’s crucial, because reducing stigma when we speak to each other will build better trust among us all. This isn’t about being uber sensitive, or politically correct. It’s about creating dialogues that put the person first, and not the labels we’ve attached to them. Our friends at our Giveback partner Shatterproof, who help families nationwide combat addiction, say using stereotypes about addiction is harmful for people affected by this disease. Words like ‘addict,’ ‘drug abuser,’ and ‘dirty’ have a deadly stigma attached to them, and are detrimental to those seeking help. Instead, use what they call ‘person-first language’ – it’s nonjudgmental and neutral, and helps people with substance use disorder recover. So is Giving Tuesday impactful? It sure is, and it’s a welcome initiative that taps into our giving side once a year and mobilizes us to care about a bigger cause. But that same feeling you get on Giving Tuesday can be replicated more often than annually. Using the tips above and simple behavioral science can go a long way, year-round.